In the wake of Yahoo CEO Marissa Mayer’s “misstatement,” that “there really aren't professional photographers anymore,” there have been several postings by readers who actually still agreed with those words. I would like to think that the majority of them were from “non-professionals,” who truly don’t understand the distinction between the two. For many of them, the fact that today’s point-and-shoot and cell phone cameras produce such high quality imagery (megapixels only) seems to outweigh the value of content and more important the skills that are needed to produce “good” content….on a consistent basis. On the positive side, there has also been a groundswell of support from the “professional” sector of the industry calling the “misstatement” everything from callous to insulting. And regardless of whether it was said in the context of Flickr Pro or otherwise, it truly was a poor choice of words. She has since followed up with an individual Tweet reply as a form of apology (posted on my earlier blog) I believe the thousands of hardworking, dedicated professional photographers deserve better and would respectfully request a formal apology directed to them all. And for those who still believe that the professional photographer does not exist, I offer you the following example. The photo in question is already 4 years old….but speaks volumes about what the professional photographer and our industry is facing. At one of the many inaugural balls in January of 2009 after winning the Presidential Election, the President and First Lady appeared on stage and hundreds of supporters in the audience instinctively reached for their point-and-shoots and cell phone cameras and started zooming and snapping away while holding their cameras above their heads…hoping to capture a keepsake. But one person in the room, Reuters professional photographer Kevin Lamarque, refrained from doing what everyone else was doing and realized that the better picture was not the Hail Mary zoom but was actually BEHIND everyone showing the “amateurs” striving to “make the picture.” Of the thousands of photos that were taken in that room, at that moment, it is the one that was taken by the professional that truly captured the scene. So for those of you who still think there isn't any distinction between the two (This is no longer being directed to Ms. Mayer) think about two recent horrific events….the bombing at the Boston Marathon and the tornado in Moore, Oklahoma. 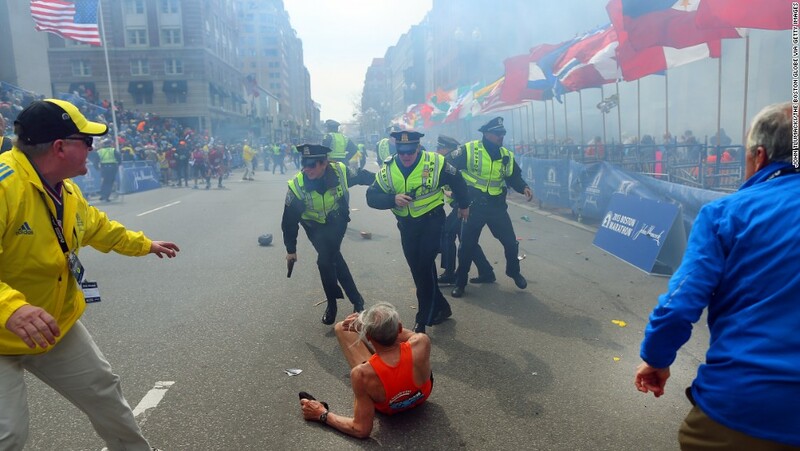 In Boston, when the explosion occurred, watch the video, and you will see Boston Globe professional photographer John Tlumacki running TOWARDS the blast as well as police and first responders, also professionals, as others run AWAY. In Moore, Oklahoma, AP professional photographer Sue Ogrocki also ran towards the tornado, not away from it…and her images of the mother carrying her child through the rubble and the children being pulled out of the wreckage of the elementary school, will be ingrained in our minds forever. I thank God every day for those hard working professionals who put themselves in harm’s way in an effort to bring a better understanding of today’s events for all to see….many times at the risk of their own safety…and sadly in some cases, have made the ultimate sacrifice….their very lives.